Typography is one of the most important components of graphic design for the online marketer. It’s also the easiest to get wrong. What I find to be most funny about Typography is that it’s not always a particularly fun or exciting subject to learn about… which makes perfect sense, since it’s also a big responsibility for a designer. Understanding the origins of a particular font, what the rules are concerning its use, and how to place text on a canvas in such a way that’s universally pleasing to the eye make up what’s arguably the most significant influence on the viewer’s impression of our graphics. Typography is an art form all on its own, and before you can begin honing skills for it, you need to come to understand some specific rules and guidelines. And again, it’s not always the most exciting stuff, but it’s essential to the process. To start off this course, I want to note 15 crucial things you need to know. I get it. You want to jump right in and learn whatever it is that you came here for, but there’s just some basics you have to be taught first. You can compare it to wanting to learn how to create custom, fine jewelry, but needing to know about and understand the materials it’s made out of before you begin creating. 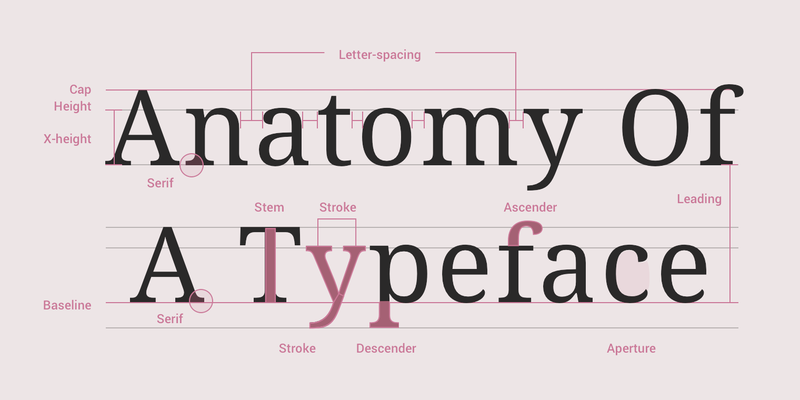 Much like jewelry making, Typography is a combination of art and science. It’s complex, beautiful, and full of rules. This course covers all of the basics you’ll need to know so that you have a proper grasp of the rules and know when and when not to break them. 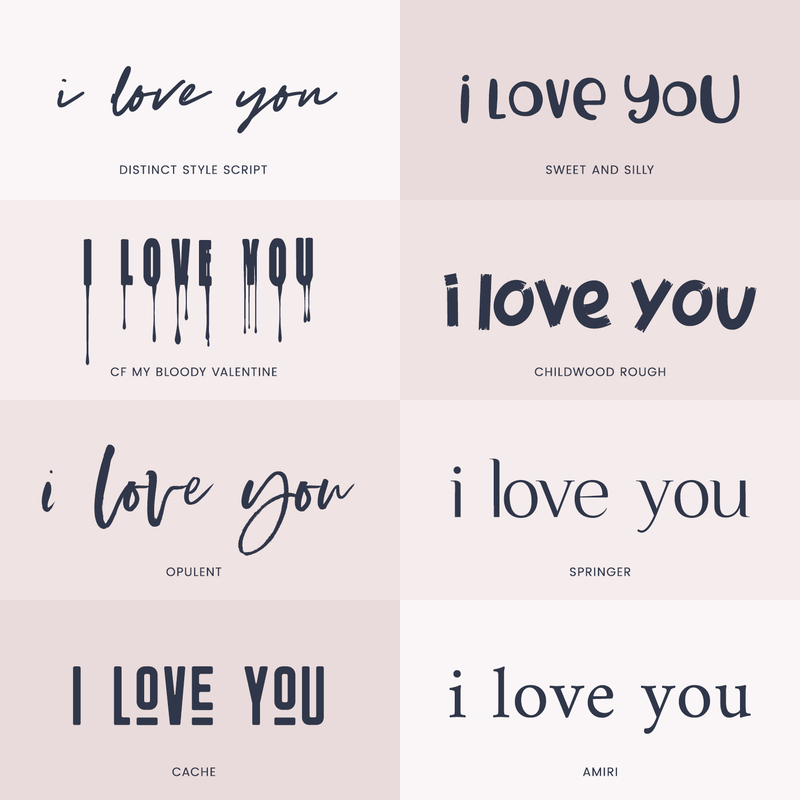 Choosing a font for a project shouldn’t be some random process where we pick our favorites (although to be fair, there’s some room for that in the process). 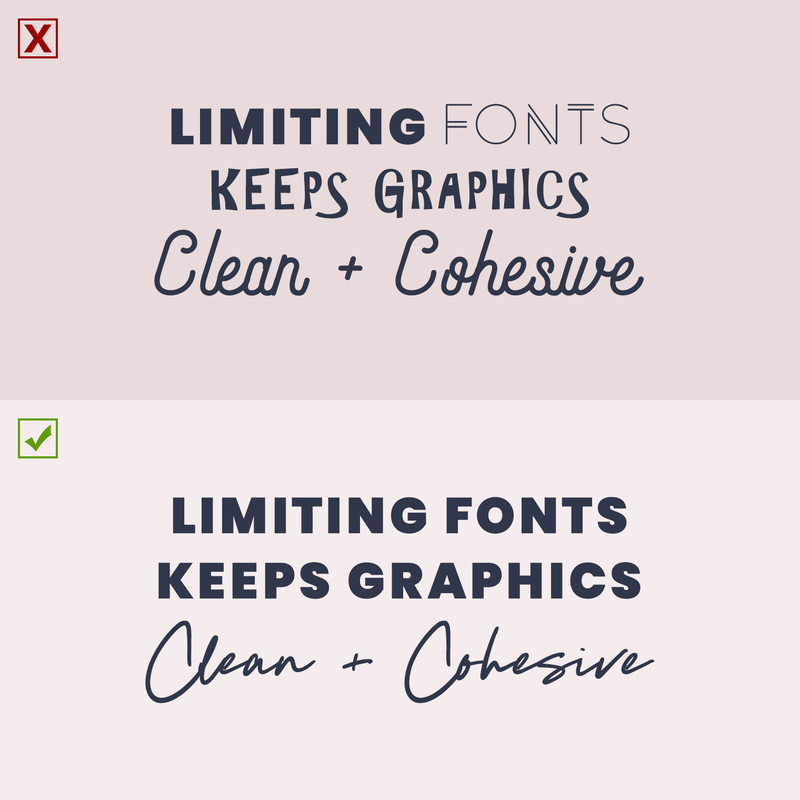 There’s a psychology connected to fonts and the one you decide on will do a lot of the talking in your graphics. You’ll need to learn how to select a font that speaks to your audience, is fitting for your market, and appropriate for your project. That’s exactly what you’ll be learning about in the Psychology of Typography section of this course - how to choose the right fonts, and examples of what the wrong fonts are saying in your project. I’m obsessed with helping students understand proper kerning - the fine tuning of space between individual characters. Why? Because kerning is as easy a thing to get totally wrong, as it is an easy thing to fix. 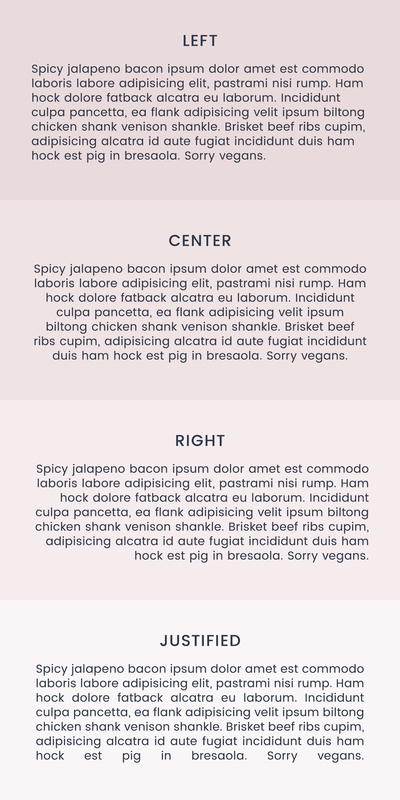 It’s usually not too much of a problem in large areas of text on a blog, but in a graphic? - It can look unprofessional and ruin a design. I love fonts, and it can be really exciting to want to use all of the fonts you love. The problem is that the more fonts you use, the more messy and distracting your graphic becomes. It’s imperative that we limit the number of fonts and choose pairings that work. 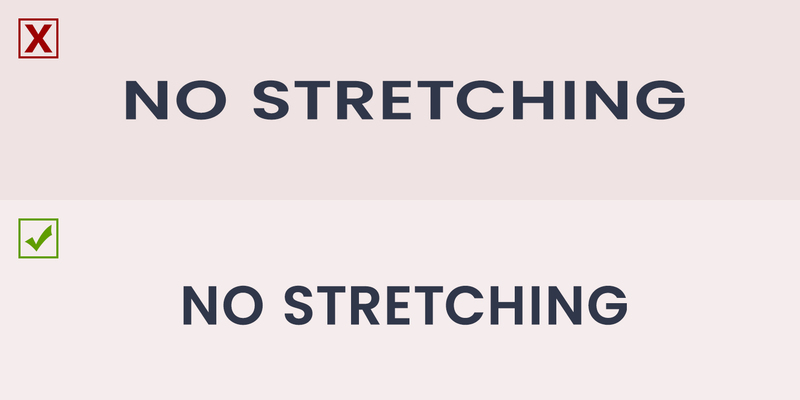 Limiting your fonts to just two or three typefaces is key - one for the body, another for a header, and another as a subheader. You can even mix and match fonts from different families. You might already be familiar with the four key alignment options: Left, Center, Right, and Justified. But did you know that for a graphic designer, the most common alignment is Left? Imagine you’re reading a block of text. If everything is centered, you have to find the first word of every line. It’s a strain for the eyes and the brain. Even in a smaller graphic with a lot less text alignment can be a struggle. Stressing significance of certain lines is the way we help the audience understand what’s most important in the graphic. 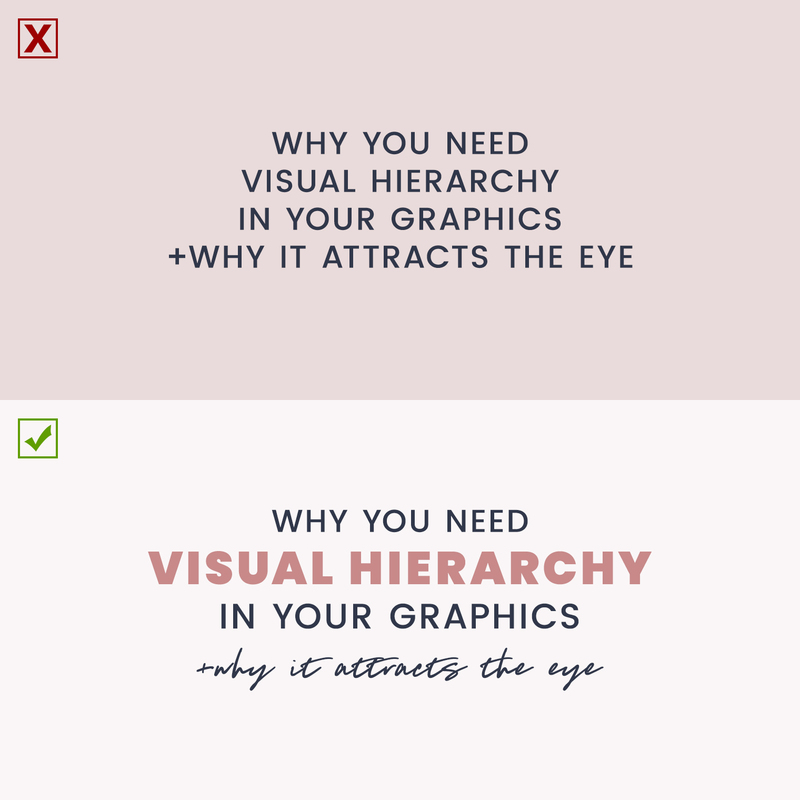 Without hierarchy, we’ll have a very flat graphic that won’t capture the eye of the audience. This course will teach you hierarchy, including examples of how I decide what's most important in my text. This way, you’ll be able to make great choices in your design that help your audience identify important pieces of information. It’s tempting to choose pretty fonts. I know this, because I’m as guilty as anyone of it. 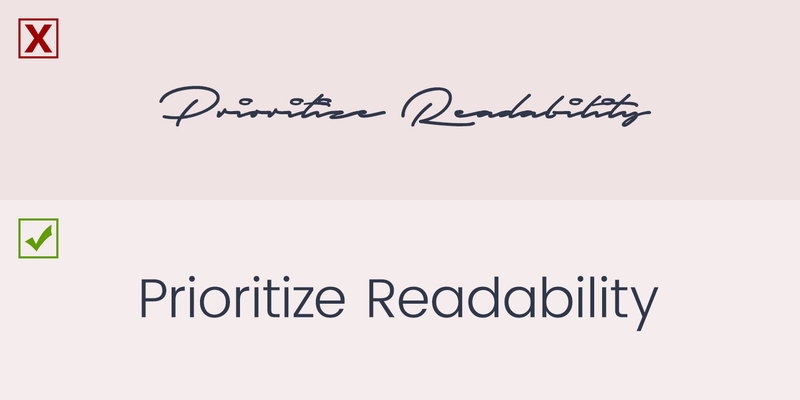 It’s important however that we prioritize readability because if we don’t, we make our audience struggle. 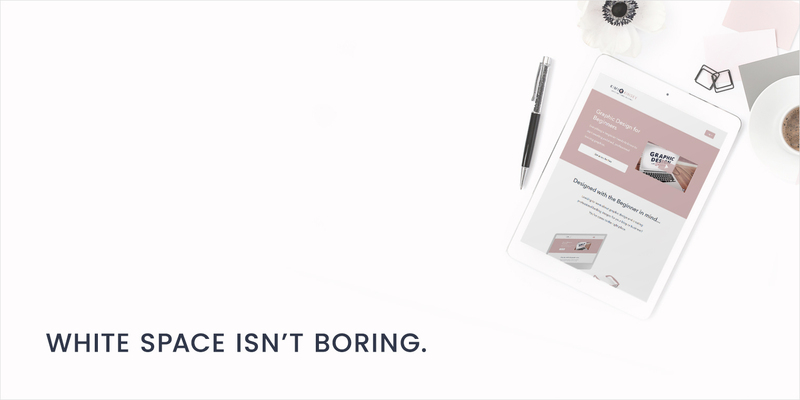 A struggling audience leads to less clicks, and ultimately less sales. Color is such a powerful tool and the ones you choose will set a tone for your viewers. Color psychology is a legit thing, and you need to learn about it and wield that information appropriately in order to design graphics that appeal to your audience and puts off the right vibe. 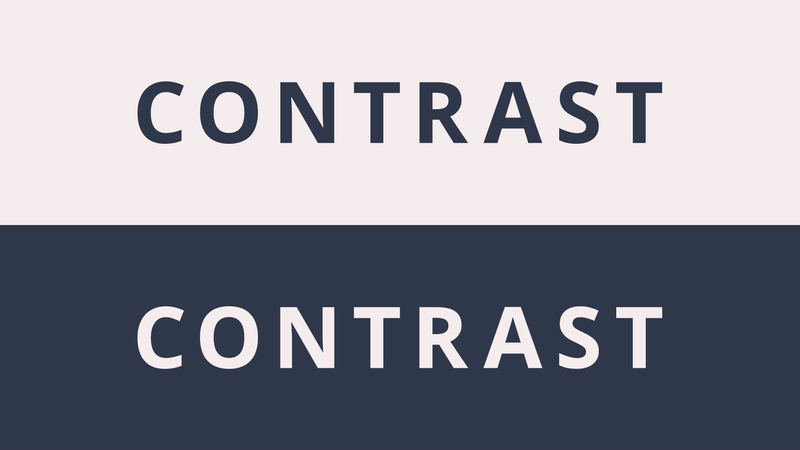 Color selection is important when creating contrast and readability in our graphics - something I’ll be teaching a lot more of in this course. Fonts are designed with attention to details - shapes and measurements. Stretching a font takes away from it and ruins what was nice about it to begin with. It might be tempting to stretch a font just to make it a little bit taller or wider, but you’re just distorting the typeface. Instead, choose a different font that better fits your design needs. In fact, these seemingly “empty” spaces in your graphics say a lot! White space (sometimes called “Negative Space”) is the area around elements in your graphic. What does that have to do with Typography? A lot actually! 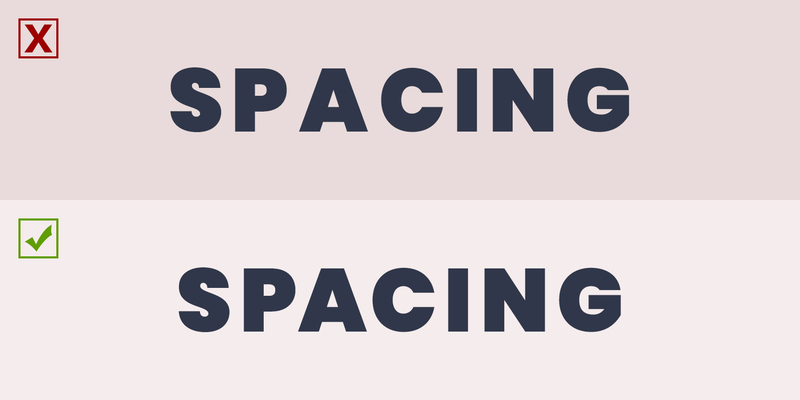 Understanding the value of White space and how to use it, will aid in bringing your Typography to life and providing valuable “breathing room” around it - making it easier for viewers to enjoy. There will be lots of examples showing you how to use White space in this course. 2015 called and it wants its watercolor logos back. Sorry if you feel personally victimized, but these fads can really hurt your business long term. Trends come and go, so try not to fall prey to them. Don’t choose specific design styles in hopes of being more relevant. 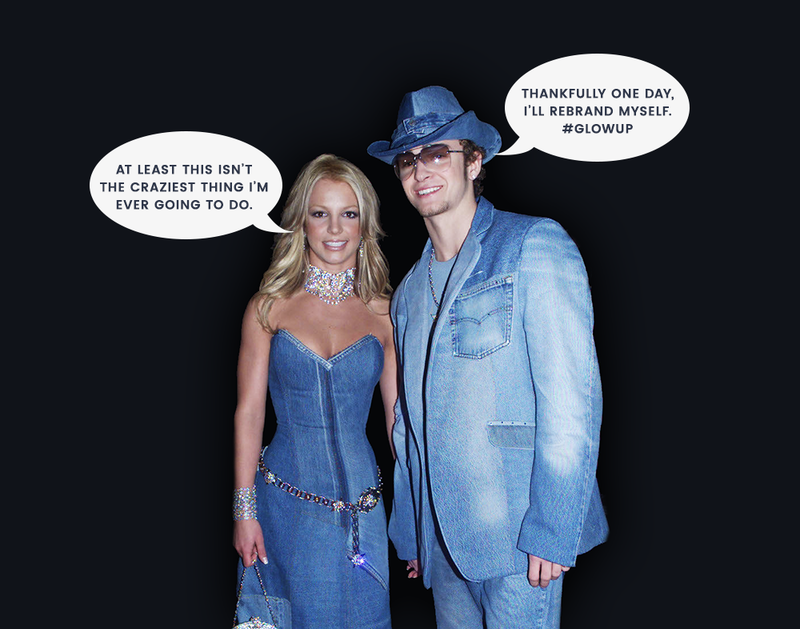 In a year, you’ll have logo that went out of style as quick as Britney and Justin’s full denim attire. Yikes. You want your typography to be tried and true. Stick to the classics and put your own twist on them. I talked about this quite a bit in my free course, Graphic Design for Beginners. Using the right design tool for your project is important. I’m partial to Adobe’s line of design programs because they offer professional quality tools that are industry standard. Haven’t taken the free course yet? You can check it out here. The best way to learn Typography (besides this course) is to find visuals you’re drawn to and practice creating graphics mimicking them. Now, I’m not saying you should go around copying people. That’s obviously a big no-no. But there’s no harm in using inspiration for creating something for practice. It takes time to learn good Typography, and even more time to master it. Don't be afraid to try new things, practice, and find your particular style. If you ever want feedback, you can share your design with us in my free Facebook group, Marketing Through Design. I'm happy to give you constructive feedback you can use to help you improve your typography. Once you understand the rules behind good Typography, you can use that knowledge to break them in artistic ways. Typography is an art form and it should be treated as such. I'm really looking forward to teaching you everything that I know about Typography in this course - even the not so exciting bits.